January 9, 2011 – GALLI: Youth Gone Wild (Matt Creed and Tommy Heisman) defeated GPA and Ovirload. May 14, 2011 – GALLI: David Tower, GPA and Rob Michaels defeated Jarod Priest & Youth Gone Wild (Matt Creed and Tommy Heisman). May 28, 2011 – GALLI: Youth Gone Wild (Matt Creed and Tommy Heisman) defeated Diego Corleone and GPA. June 25, 2011 – GALLI: Youth Gone Wild (Matt Creed and Tommy Heisman) defeated Alex Ohlson and Dark Escorpion, GPA and Rob Michaels & Ovirload and Primo Loko in a 4-way tag team elimination match to be #1 contenders for the NWA Lucha Chicago tag team titles. July 16, 2011 – GALLI: Discovery and Pentagono del Infierno defeated GPA and Rongy Roman. July 22, 2011 – GALLI: Golden Star and Pentagono del Infierno defeated GPA and Ripper. August 6, 2011 – GALLI: Dark Scorpion, Furia Roja and Golden Star defeated GPA, Ovirload and Yakuza. October 16, 2011 – GALLI: Youth Gone Wild (Matt Creed & Tommy Heisman) and Bandolero defeated GPA, Ripper and Rob Michaels. October 30, 2011 – GALLI: Discovery defeated GPA. November 5, 2011 – GALLI: Youth Gone Wild (Matt Creed and Tommy Heisman) defeated GPA and Rob Michaels. December 18, 2011 – GALLI: Dark Scorpion and Furia Roja defeated Youth Gone Wild (Matt Creed and Tommy Heisman) & GPA and Rob Michaels in a 3-way tag team match. Corporation SB1070 (El Funebre and GPA) defeated Flash Metal and Rey Fuego. January 28, 2012 – GALLI: Acid Jaz, Kenny Sutra and Noriega defeated GPA, Ripper and Rob Michaels. February 5, 2012 – GALLI: Bandolero, Flash Metal and Golden Star defeated GPA, Ripper and Rob Michaels. February 11, 2012 – GALLI: GPA, Ripper and Rob Michaels defeated Bandolero, Dark Scorpion and El Venganza. March 10, 2012 – GALLI: Lince Dorado and Noriega defeated GPA and Rob Michaels. August 7, 2012 – GALLI: GPA, Joshua Christian and Rob Michaels defeated Youth Gone Wild (Matt Creed & Tommy Heisman) and Pentagono del Infierno. September 9, 2012 – GALLI: GPA and Rob Michaels defeated Youth Gone Wild (Matt Creed and Tommy Heisman) to win the tag titles. September 16, 2012 – GALLI: Jarod Priest, Noriega and Willie Richardson defeated GPA, Mojo McQueen and Rob Michaels by disqualification. September 21, 2012 – CSW: Doug Simmons defeated GPA. September 30, 2012 – GALLI: GPA and Rob Michaels defeated Corporation SB1070 (El Funebre and Emperador Azteca) to retain the tag titles. October 7, 2012 – GALLI: GPA and Rob Michaels defeated Rey Fuego and Ripper to retain the tag titles. October 12, 2012 – CSW: GPA defeated Doug Simmons. October 27, 2012 – GALLI: Da Soul Touchaz (Marshe Rockett and Willie Richardson) defeated GPA and Rob Michaels to win the tag titles. November 2, 2012 – CSW: The Dojo Of Electric Muscle (Kenny Sutra and Matt Knicks) defeated Pretty Smart (Calvin Beckham and GPA) in a street fight. November 4, 2012 – GALLI: Youth Gone Wild (Matt Creed & Tommy Heisman) and Ripper defeated Dante DVS, GPA and Punisher 747. November 9, 2012 – CSW: Carlos Rivera and Doug Simmons defeated Pretty Smart (Calvin Beckham and GPA). November 11, 2012 – GALLI: GPA and Mojo McQueen defeated Youth Gone Wild (Matt Creed and Tommy Heisman). November 18, 2012 – GALLI: GPA and Mojo McQueen defeated Youth Gone Wild (Matt Creed and Tommy Heisman). December 9, 2012 – GALLI: UWC Nation (GPA, Mike Anthony and Mojo McQueen) defeated Golden Dragon, Pentagono del Infierno and Pentagono Jr..
December 16, 2012 – GALLI: Ripper defeated GPA. January 6, 2013 – GALLI: Youth Gone Wild (Matt Creed & Tommy Heisman) and Will Moah defeated UWC Nation (GPA, Punisher 747 and Rob Michaels). January 18, 2013 – CSW: Colin Cambridge and Steve Boz defeated Amir Assi and GPA. January 20, 2013 – GALLI: UWC Nation (GPA, Mike Anthony, Mojo McQueen and Punisher 747) defeated Team GALLI (Marshe Rockett, Pentagono del Infierno, Ripper and Willie Richardson) in a tag team elimination match. February 3, 2013 – GALLI: UWC Nation (GPA, Mojo McQueen and Ripper) defeated Atomico, Discovery and Pentagono del Infierno. February 17, 2013 – GALLI: Corporation SB1070 (El Funebre & Emperador Azteca) and Discovery defeated UWC Nation (GPA, Mojo McQueen and Ripper). March 3, 2013 – GALLI: Corporation SB1070 (El Funebre & Emperador Azteca) and Discovery defeated UWC Nation (GPA & Mojo McQueen) and Tony Kozina. March 17, 2013 – GALLI: Da Soul Touchaz (Acid Jaz & Willie Richardson) and Noriega defeated UWC Nation (GPA, Mike Anthony and Punisher 747). March 24, 2013 – GALLI: Atomico, Joe Firoz and Willie Richardson defeated GPA & The Syndicate (Jake Shining and Mason Conrad). April 6, 2013 – GALLI: UWC Nation (GPA, Mike Anthony and Mojo McQueen) defeated Chris Castro, Craig Mitchell and Noriega. April 12, 2013 – CSW: Ruff Crossing defeated GPA. April 14, 2013 – GALLI: Da Soul Touchaz (Marshe Rockett & Willie Richardson) and Will Moah defeated UWC Nation (El Finito, GPA and Mojo McQueen). April 20, 2013 – Chilanga Mask/GALLI: Mason Conrad defeated Acid Jaz, GPA, Jason Gory, Matt Knicks, Mojo McQueen and Ovirload in a 7-way elimination match. April 28, 2013 – GALLI: Golden Dragon defeated UWC Nation (GPA and Mojo McQueen) in a handicap match. May 19, 2013 – GALLI: Da Soul Touchaz (Acid Jaz & Willie Richardson) and Noriega defeated UWC Nation (GPA, Mike Anthony and Punisher 747). May 25, 2013 – GALLI: UWC Nation (GPA, Mike Anthony and Punisher 747) defeated Arc Angel, Chico Suave and Will Moah. May 26, 2013 – GALLI: GPA defeated Kenny Sutra. June 2, 2013 – GALLI: GPA defeated Willie Richardson. June 9, 2013 – GALLI: Acid Jaz and Bryce Benjamin vs. The Syndicate (Matt Knicks and Ovirload) vs. UWC Nation (GPA and Mojo McQueen) in a 3-way tag team match ended in a no contest. June 26, 2013 – GALLI: Bryce Benjamin defeated GPA and Ovirload in a 3-way match to retain the GALLI title. July 7, 2013 – GALLI: Bryce Benjamin defeated GPA to retain the GALLI title. July 14, 2013 – GALLI: Atomico, Golden Dragon and GPA defeated UWC Nation (Dante DVS, Mike Anthony and Punisher 747). July 21, 2013 – GALLI: GPA defeated Dante DVS. August 4, 2013 – GALLI: Destructor Jr., El Tigre, GPA and Pentagono del Infierno defeated Corporation SB1070 (Dark Scorpion, Destructor, El Funebre and El Traidor). August 18, 2013 – GALLI: UWC Nation (Dante DVS and Mike Anthony) defeated Calvin Beckham and GPA. September 1, 2013 – GALLI: Da Soul Touchaz (Marshe Rockett & Willie Richardson) and GPA defeated Los Inicuos (El Rosario, Matt Creed and Will Moah). September 15, 2013 – GALLI: Barry Ryte defeated Acid Jaz, GPA and Kunai Silencio in a 4-way match. September 22, 2013 – GALLI: GPA defeated Mojo McQueen. October 13, 2013 – GALLI: GPA defeated Mike Matthews. October 20, 2013 – GALLI: Discovery, GPA and Kunai Silencio defeated Los Inicuos (El Rosario & Will Moah) and Valentino. October 27, 2013 – GALLI: Atomico and GPA defeated The Curse (Mojo McQueen and Punisher 747). November 10, 2013 – GALLI: GPA defeated Valentino. November 17, 2013 – GALLI: Los Inicuos (Mike Anthony and Will Moah) defeated Discovery and GPA. December 15, 2013 – GALLI: GPA defeated Punisher 747. February 23, 2014 – GALLI: Discovery, GPA and Joey Marx defeated El Syndicato (Barry Ryte, Bryce Benjamin and Marcus Conrad). March 2, 2014 – GALLI: Furia Roja, GPA and Joey Marx defeated La Maldicion (Mojo McQueen, Ovirload and Punisher 747). March 16, 2014 – GALLI: The Smart Marx (GPA and Joey Marx) defeated The Syndicate (Marcus Conrad and Mason Conrad) & La Maldicion (Mojo McQueen and Ovirload) in a 3-way tag team match to win the tag titles. March 21, 2014 – SSW: Bolt Brady defeated GPA and Hakim Zane in a 3-way match. March 23, 2014 – GALLI: The Smart Marx (GPA and Joey Marx) defeated Da Soul Touchaz (Marshe Rockett and Willie Richardson), La Maldicion (Mojo McQueen and Punisher 747) in 3-way tag team match to retain the tag titles. April 6, 2014 – GALLI: Smart Marx (GPA and Joey Marx) defeated La Maldicion (Jester Yorick and Mojo McQueen) to retain the tag titles. April 13, 2014 – GALLI: Smart Marx (GPA and Joey Marx) defeated 2 Hot 4 U (Chico Suave and D’Angelo Steele) to retain the tag titles. April 26, 2014 – CSW: Steve Boz defeated GPA. April 27, 2014 – GALLI: EL Syndicato (Barry Ryte and Marcus Conrad) defeated Smart Marx (GPA and Joey Marx) to win the tag titles. May 25, 2014 – GALLI: Acid Jaz and GPA defeated Bryce Benjamin and Mike Anthony. June 8, 2014 – GALLI: Bryce Benjamin defeated GPA, Marshe Rockett and Mike Anthony in a 4-way elimination match to retain the GALLI title. June 22, 2014 – GALLI: GPA and Punisher 747 defeated La Maldicion (Mojo McQueen and Ovirload). July 6, 2014 – GALLI: GPA defeated Gavilan De Plata and Valentino in a 3-way match. July 27, 2014 – GALLI: GPA defeated Ovirload by disqualification. Ovirload retains the junior heavyweight title. August 3, 2014 – GALLI: Team 2 Star (Chris Castro and Matt Knicks) defeated Smart Marx (GPA and Joey Marx) to retain the tag titles. GPA defeated Ovirload and Lince Dorado in a 3-way match. August 17, 2014 – GALLI: Gavilan De Plata, GPA and Willie Richardson defeated La Maldicion (Jester Yorick, Mojo McQueen and Ovirload). August 24, 2014 – GALLI: La Maldicion (Mojo McQueen and Ovirload) defeated GPA and Mason Conrad. 2 Hot 4 U (Chico Suave and D’Angelo Steele) defeated Gavilan De Plata and GPA. September 7, 2014 – GALLI: Acid Jaz and GPA defeated La Maldicion (Mojo McQueen and Ovirload). September 14, 2014 – GALLI: GPA defeated Ovirload by disqualification. Ovirload retains the junior heavyweight title. September 21, 2014 – GALLI: GPA wins a battle royal. 2 Hot 4 U (D’Angelo Steele and Valentino) defeated GPA and Mason Conrad. October 5, 2014 – GALLI: Acid Jaz and GPA defeated 2 Hot 4 U (Chico Suave and Valentino) by disqualification. November 9, 2014 – GALLI: GPA defeated Draconis and Will Money Maker Dolla in a 3-way match. November 16, 2014 – GALLI: Acid Jaz and GPA defeated El Syndicato (Barry Ryte and Jesus Bryce). December 14, 2014 – GALLI: GPA defeated Jesus Bruce to win the GALLI title. January 11, 2015 – GALLI: Barry Ryte and Ricky Cruz defeated Acid Jaz and GPA. January 25, 2015 – GALLI: GPA defeated Chris Castro. February 6, 2015 – GALLI: Haunter Strange, Josh Crow, Kaden Sade and Suge D defeated Bolt Brady, GPA, Mallaki Matthews and The Masked Character. February 7, 2015 – UGW: Geoffrey Percival Austere defeated Danny Scott. February 8, 2015 – GALLI: Acid Jaz and Ricky Cruz defeated GPA and Punisher 747. 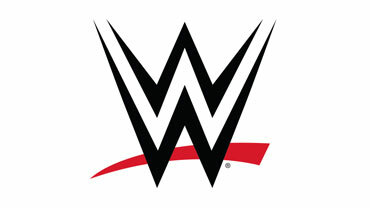 February 15, 2015 – GALLI: GPA defeated Valentino by disqualification. February 21, 2015 – CSW: GPA defeated Brad Kevins. March 7, 2015 – CSW: GPA defeated Alex Romero. March 14, 2015 – UGW: Geoffrey Percival Austere defeated Marcus Conrad by disqualification. March 15, 2015 – GALLI: Ricky Cruz defeated GPA to win the GALLI title. March 21, 2015 – CSW: Acis Jaz defeated GPA to retain the Metra Division title. March 27, 2015 – CSW: GPA defeated Marco Anthony. April 10, 2015 – FW: Kenny Sutra defeated Brad Kevins, GPA, JJ Garrett, Supafli and Valentino in a 6-way match. April 11, 2015 – UGW: Geoffrey Percival Austere defeated JJ Garrett. April 18, 2015 – CSW: GPA defeated JW Lovely. April 19, 2015 – GALLI: GPA defeated Matt Knicks. May 1, 2015 – CSW: Doug Simmons and Mr. Boogeyman Werrbach defeated GPA and Mr. Rivera. May 9, 2015 – UGW: Mojo McQueen defeated Geoffrey Percival Austere to retain the UGW title. May 16, 2015 – CSW: GPA defeated Sean Mulligan. June 7, 2015 – GALLI: GPA defeated Ricky Cruz to win the GALLI title. July 11, 2015 – UGW: Marcus Conrad defeated Geoffrey Percival Austere. July 12, 2015 – GALLI: Los Elegidos (Gringo Loco and Mike Anthony) defeated GPA and Ricky Cruz. July 18, 2015 – CSW: GPA defeated Kidd Twizt to qualify for the Metra Division title tournament. August 8, 2015 – UGW: Jesus Bryce and Marcus Conrad defeated Geoffrey Percival Austere and Rey Furia. August 21, 2015 – FW: GPA defeated Harvey Bower, JJ Garrett, Kenny Sutra, Marshe Rockett and Maxwell Chicago in a 6-way match. August 30, 2015 – GALLI: Las Furias (Furia Roja & Rey Furia) and GPA defeated The Trump Pets (Alex Ohlson, Craig Mitchell and Kenny Sutra). September 5, 2015 – UGW: Geoffrey Percival Austere defeated Damien Tyler. October 16, 2015 – CSW: GPA defeated Aaron Xavier, Aayan Tala, Carlos Rivera, GQ Suave and Marco Anthony in a 6-way elimination match to win the vacant Metra Division title. November 1, 2015 – GALLI: The Prophecy (Acid Jaz, Barry Ryte and Jesus Bryce) defeated Las Furias (Furia Roja and Rey Furia) and D’Angelo Steele and Kunai Silencio & GPA and Mason Conrad in a 4-way tag team elimination match to retain the tag titles. November 14, 2015 – UGW: Acid Jaz and Jesus Bryce defeated Geoffrey Percival Austere and Mike Matthews. November 21, 2015 – CSW: GPA defeated Bryce Benjamin to retain the Metra Division title. December 13, 2015 – GALLI: GPA defeated Barry Ryte to retain the GALLI title. December 19, 2015 – PGP: The Academic Standard (GPA and Mason Conrad) defeated The Curse (Draconis and Ovirload). January 8, 2016 – FW: GPA defeated Chase Owens. 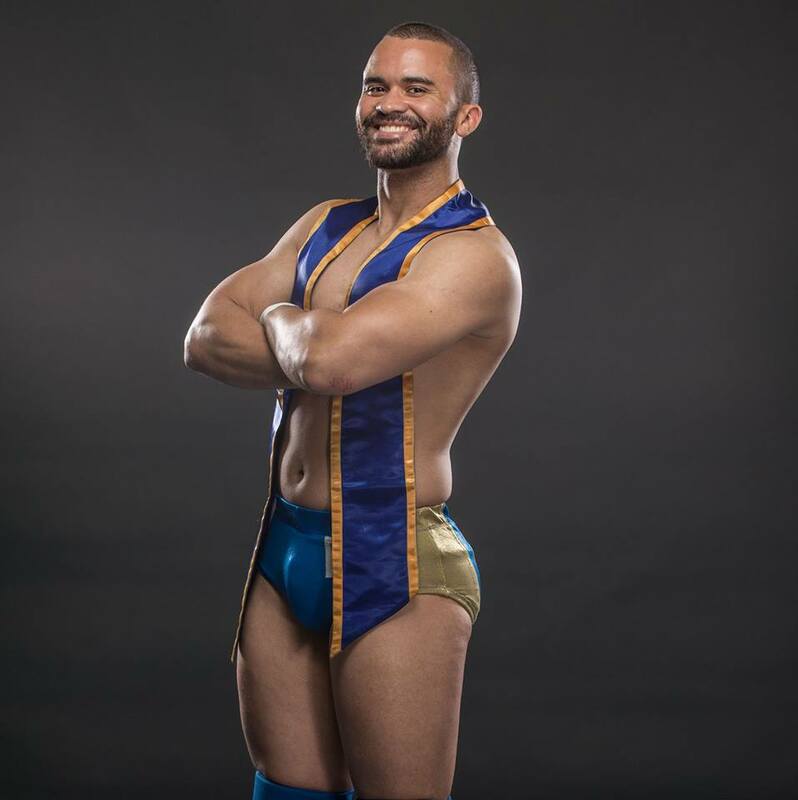 January 9, 2016 – UGW: Geoffrey Percival Austere defeated Sean Orleans. January 10, 2016 – GALLI: GPA defeated Maxwell Chicago. January 16, 2016 – CSW: GPA defeated Tony Nas to retain the Metra Division title. January 31, 2016 – GALLI: La Profecia (Barry Ryte and Jesus Bryce) defeated GPA and Mojo McQueen. February 13, 2016 – UGW: Geoffrey Percival Austere defeated Jesus Bryce in a I Quit match. February 20, 2016 – CSW: Doug Simmons defeated GPA. March 6, 2016 – GALLI: GPA defeated Jesus Bryce to retain the GALLI title. March 11, 2016 – FW: Team BETA (Craig Mitchell and Kenny Sutra) defeated Alex Ohlson and GPA. March 12, 2016 – UGW: Geoffrey Percival Austere defeated Mojo McQueen to win the UGW title. March 13, 2016 – GALLI: La Revolucion (Dark Scorpion and Noriega) defeated GPA and Mason Conrad. March 18, 2016 – CSW: GPA defeated Lamar Titan to retain the Metra Division title. March 19, 2016 – GSW: GPA defeated Colin Cambridge to retain the Metra Division title. March 20, 2016 – GALLI: GPA and Mason Conrad defeated Mojo McQueen and X-Fly. April 10, 2016 – GPA and Mason Conrad defeated La Revolucion (Dark Scorpion and Valentino). April 16, 2016 – CSW: GPA defeated Doug Simmons to retain the Metra Division title. April 23, 2016 – CSW: GPA defeated Ian Gauger to retain the Metra Division title. April 24, 2016 – GALLI: GPA defeated Skayde Jr. to retain the GALLI title. April 30, 2016 – CSW: GPA defeated Aaron Xavier to retain the Metra Division title. May 1, 2016 – Fusion: Roy Flash Gordon defeated GPA. May 6, 2016 – FW: GPA defeated Brubaker. May 15, 2016 – GALLI: El Traidor, GPA and Mason Conrad defeated La Revolucion (Billy Star, Dark Scorpion and Valentino). May 20, 2016 – CSW: GPA vs. Da Cobra ended in a time limit draw. GPA retains the Metra Division title. May 21, 2016 – CSW: Marshe Rockett defeated GPA by disqualification. GPA retains the Metra Division title. May 22, 2016 – GALLI: GPA defeated Mojo McQueen to retain the UGW & GALLI titles. May 29, 2016 – GALLI: Golden Dragon, GPA and Mason Conrad defeated La Revolucion (Gringo Loco, Skayde and Skayde Jr.). June 10, 2016 – FW: Prince Mustafa Ali defeated Alex Ohlson, Craig Mitchell, GPA, Nick Brubaker and Suge D in a 6-way match. June 11, 2016 – UGW: GPA defeated DDS to retain the UGW title. July 8, 2016 – FW vs CZW: GPA defeated Dominic Cialoni in a I Quit match. July 9, 2016 – UGW: The Viking War Party (The American Viking & The Little Viking) and GPA defeated The Will To Win (Brendan Conway, Craig Mitchell and Danny Scott). July 16, 2016 – CSW: The Mega Power Trip (GPA and Bryce Benjamin) vs. Da Soul Touchaz (Acid Jaz and Marshe Rockett) ended in a no contest. GPA retains the Metra Division title. Benjamin retains the heavyweight title. July 24, 2016 – GALLI: La Revolucion (Gringo Loco, Skayde and Skayde Jr.) defeated GPA, Mason Conrad and Zema Ion. July 29, 2016 – GALLI: La Revolucion (Gringo Loco & Skayde Jr.) and Shigehiro Irie defeated GPA, Matt Knicks and Zema Ion. August 6, 2016 – UGW: GPA defeated Ethan Page to retain the UGW title. August 13, 2016 – CSW: GPA defeated Malex Matthews to retain the Metra Division title. August 14, 2016 – GALLI: GPA defeated Shigehiro Irie to retain the GALLI title. August 21, 2016 – Fusion: GPA defeated Jake Andrews. August 26, 2016 – FW: Prince Mustafa Ali defeated GPA to retain the FW title. August 28, 2016 – GALLI: GPA and Mason Conrad defeated The Spot Monkeys (Alex Romero and Brad Kevins). September 3, 2016 – Showcase Of Champions: GPA defeated Jaysin Masters to retain the UGW title. September 11, 2016 – GALLI: GPA defeated Skayde to retain the GALLI title. Pentagon Jr. defeated GPA, Marshe Rockett and Prince Mustafa Ali in a 4-way match. October 15, 2016 – CSW: Marshe Rockett defeated GPA. October 21, 2016 – Fusion: Kori Quinn and Tony Nas defeated The N Words (Bryce Benjamin and GPA). October 22, 2016 – CSW: GPA defeated Jake Andrews to retain the Metra Division title. October 27, 2016 – FW: Christian Rose and Ethan Page defeated GPA and Suge D.
October 30, 2016 – GALLI: Team BETA (Craig Mitchell & Matt Knicks) and Sin Suerte defeated GPA, Mason Conrad and Pat Monix. November 6, 2016 – GALLI: GPA defeated Prince Mustafa Ali and Stephen Wolf in a 3-way match to retain the GALLI title. November 13, 2016 – GALLI: El Funebre and Noriega defeated Golden Dragon and GPA. November 19, 2016 – CSW: Elite Paine (Hunter Paine & Marco Anthony) & Da Soul Touchaz (Acid Jaz, C-Red and Marshe Rockett) defeated The 5-Man Power Trip (Beau Anderson, Bryce Benjamin, GPA, Jason Dukes and Willie Richardson). November 20, 2016 – GALLI: La Revolucion (Gringo Loco, Skayde and Skayde Jr.) defeated Golden Dragon, GPA and Triton. December 4, 2016 – GALLI: GPA and Marshe Rockett defeated Craig Mitchell and Valentino. December 9, 2016 – FW: GPA defeated Prince Mustafa Ali and Isaias Velazquez in a 3-way match to win the FW title. December 11, 2016 – GALLI: GPA defeated Craig Mitchell to retain the GALLI title. Barry Ryte defeated GPA to win the GALLI title. January 13, 2017 – FW: GPA defeated Space Monkey to retain the FW title. January 21, 2017 – CSW: GPA defeated Beau Anderson to retain the Metra Division title. GPA was also in the heavyweight title match won by Jake Andrews. February 11, 2017 – FW: GPA defeated Isaias Velazquez to retain the FW title. February 18, 2017 – CSW: GPA defeated Colin Cambridge to retain the Metra Division title in the 1st round. Brubaker defeated GPA in the semi-finals and winning the Metra Division title. March 9, 2017 – UGW: GPA defeated Thunder Rosa to retain the UGW title. March 24, 2017 – FW: GPA defeated Matt Cage to retain the FW title. April 7, 2017 – SPW: Dru Skillz defeated Bushwhacker Luke, GPA, Sugar Dunkerton, Troy Miller and William Huckaby in a 6-way match to retain the SmashMouth heavyweight title. May 26, 2017 – FW/FU: GPA defeated Ruff Crossing to retain the FW title and the FU title. June 4, 2017 – CILL: Mojo McQueen, Skayde and Slayer defeated Billy Star, Golden Star and GPA in a best 2 out of 3 falls match. June 4, 2017 – GALLI: Barry Ryte defeated GPA to retain the GALLI title. June 10, 2017 – RONIN 15: Jason Cade defeated Donovan Danhausen and GPA in a 3-way match. June 25, 2017 – Dynamite Cup: Ace Perry defeated Alex Daniels, GPA and Kevin Ku in a 4-way 1st round match. July 21, 2017 – FW vs CZW: Alexander James, Conor Claxton, Joe Gacy and Maria Manic defeated Arik Cannon, GPA, Kylie Rae and Stevie Fierce. July 29, 2017 – Fusion: Justified defeated GPA. August 19, 2017 – RONIN 16: Teddy Stigma defeated GPA. September 17, 2017 – FU: GPA defeated Paul Elliot to retain the FU title. September 22, 2017 – FW: GPA defeated Sammy Guevara. September 24, 2017 – Zela Pro: DJ Z, Gringo Loco and Hakim Zane defeated Aero Boy, GPA and Joey Marx. October 27, 2017 – FU: Craig Mitchell defeated GPA and Ruff Crossing in a 3-way match to win the heavyweight title. November 12, 2017 – Zela Pro: Tome Filip defeated GPA. November 22, 2017 – FU: GPA and Kylie Rae defeated Superiority Complex (Roy Gordon and Tony Nas) to win the tag titles. Craig Mitchell defeated GPA to retain the heavyweight title. January 14, 2018 – Zela Pro: GPA and Joey Marx defeated Zero Gravity (Brett Gakiya and CJ Esparza) & Halal Beefcake (Idris Abraham and Joe Coleman) in a 3-way tag team match. April 20, 2018 – Zela Pro: GPA defeated Joey Marx. April 21, 2018 – BCW: Angel Armoni and GPA defeated Dweeb and Lou Zehr. May 19, 2018 – BCW: Onyx Andretti defeated GPA. May 20, 2018 – Zela Pro: Joey Marx and Pat Monix defeated Brubaker and GPA. June 29, 2018 – BCW: AC Riley defeated GPA and Lou Zehr in a 3-way match. June 30, 2018 – FW: Isaias Velazquez defeated GPA to retain the FW title. July 27, 2018 – FW: Thunder Rosa defeated GPA. August 24, 2018 – FW: Isaias Velazquez defeated GPA to retain the FW title. October 19, 2018 – FW: GPA defeated Bu Ku Dao, Danger Mask, J. Spade, Kenny Sutra, Matt Lancie, Space Monkey and Tony Nas in a 8-way match to retain the FW title. October 25, 2018 – Zelo Pro: Egotistico Fantastico, Isaias Velazquez, Marshe Rockett and Pat Monix defeated Brubaker, Bryce Benjamin, GPA and Simon Grimm in a tag team elimination match. November 10, 2018 – EVOLVE 116: Isaias Velazquez defeated GPA to retain the FW title.